Happy Thrift Score Thursday! Today we are going to talk about something I am a big fan of… mixed seating! But first, let me tell you about TST. This week I wanted to show you some new chairs I’ve recently acquired. I’ve been craving a mix of chairs for some reason in my dining room even though I adore my black panton head chairs and black bentwoods. So I am scratching that itch on my porch. And you’re also getting a little sneak peek of the Fall porch tour coming your way Monday. We already had the folding chairs, but my landord at Sweet Clover had a pair of green bentwoods out for sale, and GOSH I MEAN THEY’RE BENTWOODS. I can’t resist. You might also notice the head chair. One of our Sweet Clover vendors wanted to buy something from me, and I am always open to a good trade with a vendor as they always have things I want but try to resist. 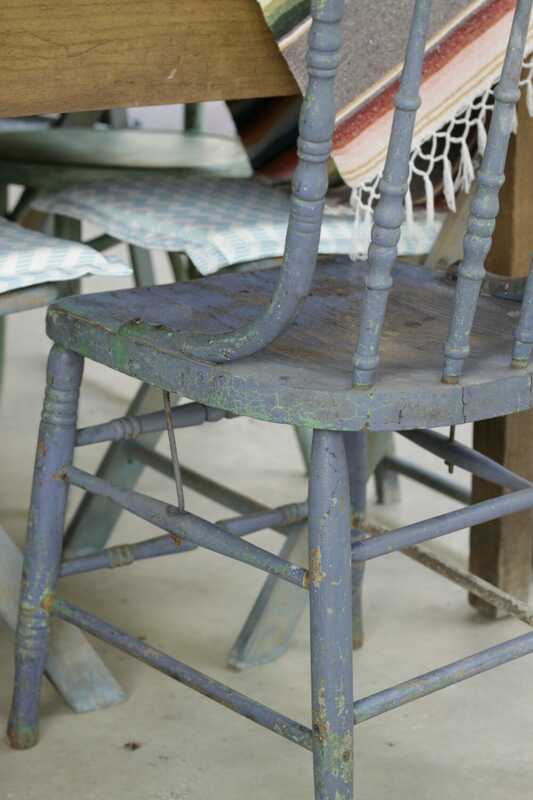 She had brought in this fabulous pair of blue original finish a couple months ago and I have been eyeing them. So we traded and home they came with me. I couldn’t reproduce this look if I tried…. And frankly I prefer original finishes, even if I’ve painted some furniture in my day. Now it’s time to share what caught my eye this week! Pam from Simple Details showed off this pretty portrait she scored. And if you just got your October issue of Better Homes & Gardens, then you saw the spread on her beautiful home! Spoiler alert- her walls weren’t pink then. 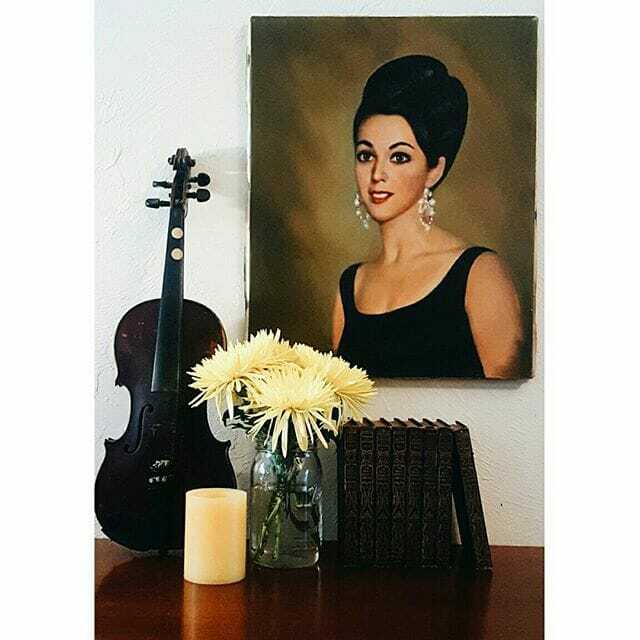 Alex who owns Nostalgic Moon found another beautiful female portrait and it has special meaning to her. Head over to her post to read about it. 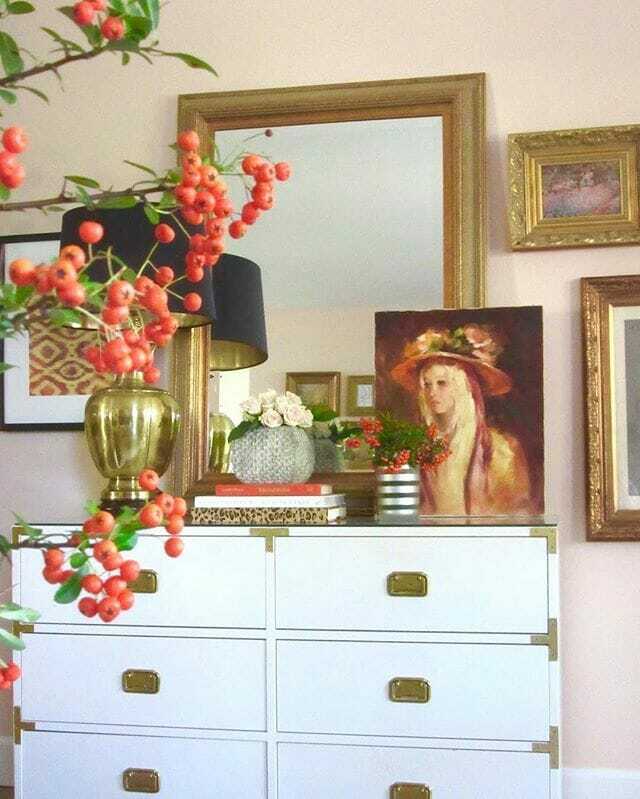 That’s all I have for this week… be sure to visit my cohosts to see their finds and features. 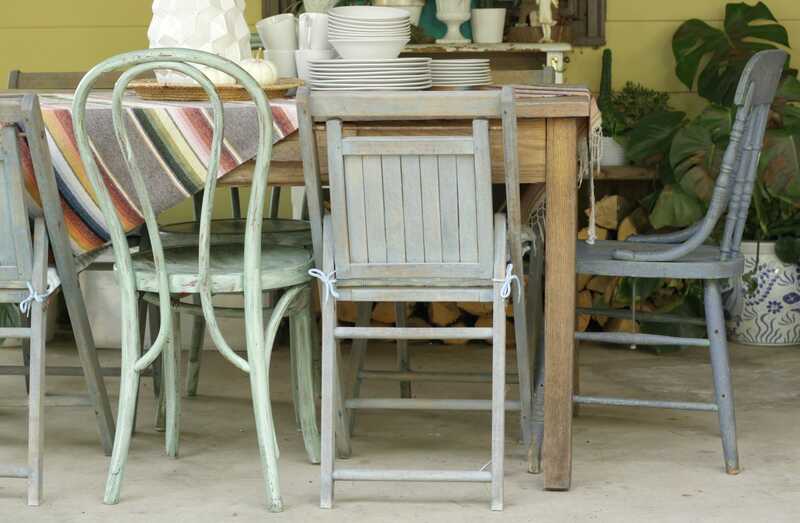 i love the idea and look of mixed seating and your porch has got it going on! look forward to seeing your full reveal on monday. happy day! thank you, laura! happy weekend! Love your head chairs and that portrait. thank you, julia! i need some fun portraits! Love those lady portraits, almost picked them myself. My sister has a collection floor to ceiling in her sun room and they all have names and stories we’ve made up. So much fun! i need some portraits! they’re so beautiful! The finish on those blue chairs is amazing! Always loving your porch. I can’t wait to get my BH&G in the mail, love Pam and her style! pam is awesome! and so is her home! Cassie! Those chairs! The original paint finish is gorgeous! I may not go in for chippy paint very often, but when it’s original, it’s a whole other ball game! Love it! i know, right? when it’s original it’s just right. 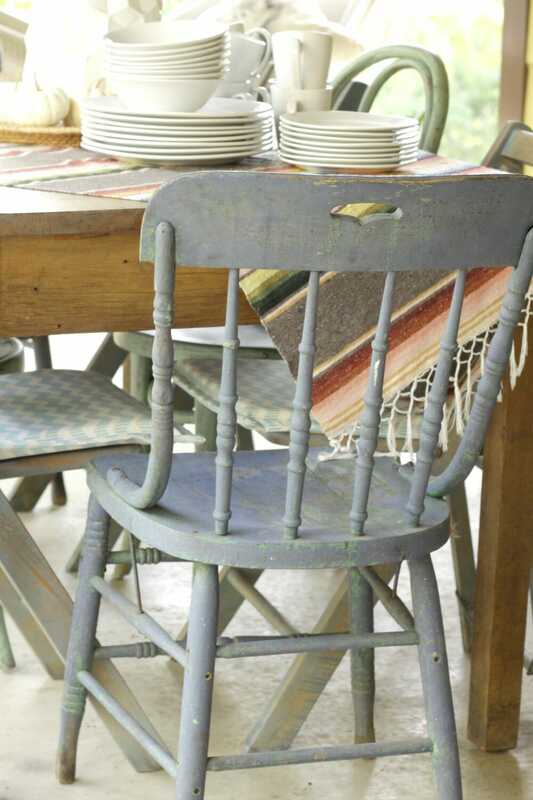 The original paint on those chairs are so charming! Your bentwood chair luck is killing me. I’d love to score some! i found a pair of them! i love them so much! 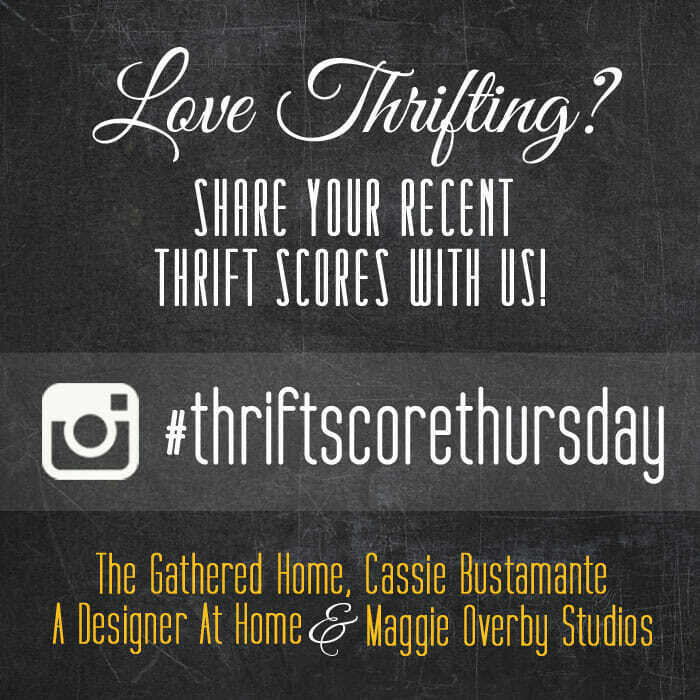 I love Thrift Score Thursday – it’s how I met you all! aaaw, i didn’t know that! how awesome! i love that i didn’t have to paint them, too!!! i feel ya!